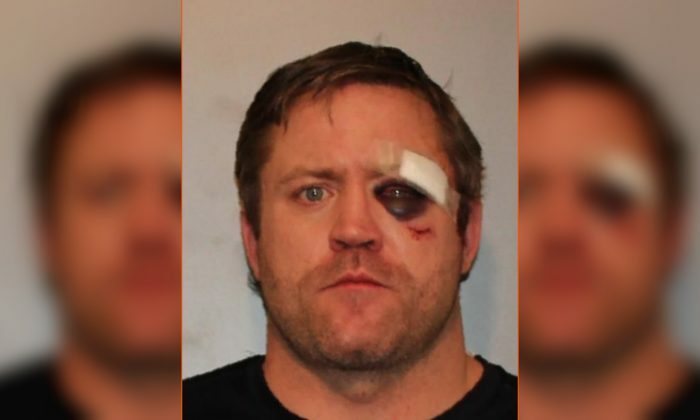 New York State Police arrested a 36-year-old man late on Wednesday, Nov. 22, after investigating a car crash, which injured his 8-year-old daughter while she was handling the steering wheel. The 8-year-old was sitting on her father’s lap. The girl was taken to Albany Medical Center with serious but not life-threatening injuries, according to The Post Star, a local newspaper in Glens Falls, New York. State police said she is being treated for broken bones, a punctured lung from a broken rib, and head injuries, New York Daily News reported. Police and emergency responders received a call at 11:30 p.m. about a crash on County Route 17. They discovered a Honda sedan upon arrival, but the occupants had already left the scene. State troopers found out that the girl who was involved in the crash was taken to a relative’s home. A resident of a nearby home gave Reynolds and his daughter a ride to the relative’s home. When Glen Falls Police arrived at the home, they discovered the girl in her relative’s care, but Reynolds was already gone. A search commenced with multiple agencies involved. Glens Falls Police tracked Reynolds to an acquaintance’s home on Windy Ridge Road. They arrested him on unspecified charges and took him to Glens Falls City Court. Police later took Reynolds to Glens Falls Hospital to treat injuries likely suffered in the crash. State Police suspect that Reynolds let his daughter control the wheel of the vehicle while he handled the breaking and acceleration. They believe she hit the windshield and the steering wheel after the car swerved from the roadway and crashed into an embankment and then a tree. The girl was not restrained by a seatbelt. Reynolds borrowed the car from his mother late on Tuesday. Reynolds was charged with vehicular assault and leaving the scene of a serious personal injury accident, misdemeanor endangering the welfare of a child, and unauthorized use of a motor vehicle, according to officials. Reynolds has an extensive criminal history, police said. He was behind bars for driving while drunk in 2011. He is being held at Washington County Jail without bail. The municipal complex, which houses the Washington County Jail in New York. “The public defender’s office will also investigate these serious allegations and will be prepared to defend Mr. Reynolds,” the man’s lawyer, Washington County Public Defender Michael Mercure, said. Some news outlets reported that Reynolds left his daughter crying at the crash site while he fled. Those reports are contrary to the police account in the local newspaper. Support The Epoch Times. Share this article.